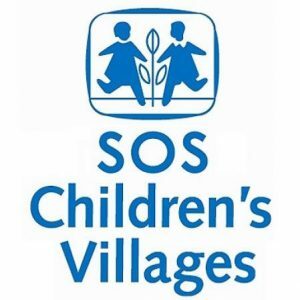 SOS Children’s Villages Tanzania is a local non-government organization affiliated to SOS Children’s Villages International, a worldwide childcare organization that provides orphaned and destitute children with a permanent home and educational opportunities. Established 60 years ago, SOS Children’s Villages International the umbrella organization, currently has Children’s Villages and other projects in 135 countries around the world. Globally, it runs the SOS Children’s Village Programme which has two main arms. i.e. Family Based Care based at SOS Children’s Villages and Family Strengthening Programmes supporting families in local communities. SOS has been working in the United Republic of Tanzania since 1991, and implements its programs in the following locations Zanzibar, Arusha. Dar es Salaam, Mwanza and Iringa. SOS Children’s Villages Tanzania seeks to recruit suitably qualified candidates to fill the following vacant Positions. She/he will provide leadership, and strongly contribute to all processes that lead to enhanced organization development and leadership within the National Association. She leads the implementation’of the HR manual, communicates and orients staff on new HR policies. bite oriuipcii utuii acuities *oi oouUi peiJormancu. In a balanced manner, she / he will be an advocate for staff in terms of their genuine concerns and relations to the organization, as well as for the organization in terms of.its desired direction. She / he will apply the current national labour law to the NA staff conditions of service and other HR policies. She / he will also be strongly involved in matters of staff discipline and counselling, guiding procedures and ensunng that staff gets up-building advice. The position of Human Resource Coordinator shall regularly consult, and work very closely with the National Director on major aspects of his/ her work, also providing him/her with advice on a wide range of HR matters. The candidate must be self-motivated, innovative with new ideas and a team player. Masters on Human Resource management will be added advantage. Providing strong effective leadership to the affairs of the Children’s Village. Leading the SOS community comprising of children, youth, SOS mothers, supporting the children’s educational, emotional development and physical needs. Managing the planning and activity programs, as well as the financial and administrative function of the SOS Children’s Village. Representing the Village in the local community, creating local networks that support the Children’s Village program. Being a role model for the children, youth and mothers.. Degree in Social Sciences, Psychology. Guidance and Counselling, Development studies or its equivalent. At least three year of relevant professional experience at management level. Experience in working with children/youth environment will be added advantage. Ability to work independently, self-organize. use initiative, keeps commitments and meets deadlines. The candidate should possess the emotional stability to lead and guide the large community of children and youth, by maintaining the required high standards. A stable social and emotional family situation. Note: The position requires the FBC to live within the SOS Children’s Village.